Internships are valuable experiences to have before the real job search begins. It’s an opportunity to enter a professional environment where they can make connections, learn new skills, and determine where their interests lie. You might be wondering how these interns can benefit you. 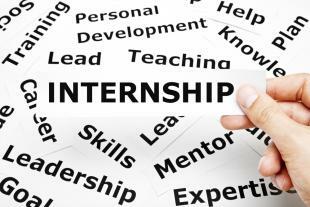 Here are five benefits of establishing an intern program in your company! Every company’s goal is to find the best and most qualified candidate for the job. Adopting a solid intern program will produce good reviews from interns, who can then refer other top-quality students to the company. Furthermore, hiring interns will allow you to assess their strengths and skills that is not always apparent on a resume, and be able to offer full-time employment upon completion of the internship to those who prove their competence. A company that hires interns shows that they are willing to train the next generation’s workforce. By doing so, you are giving back to the community and supporting the development of these students. This is beneficial for any company, as these soon-to-be hires will gain skills necessary in the professional world. Having interns means that you will get the opportunity to teach and help them grow throughout their experience. Teaching and learning are equally valuable experiences, and you will gain both through the adoption of an intern program. Interns will no doubt be asking you a lot of questions about the company, the industry, and the workforce in general. It is important that current employees are able to answer these questions. Interns tend to be younger than regular employees, and will offer a completely different perspective. The new Generation Z has been wired to depend on technology, social media, and digital devices to carry out their work. Collaborating with others with different mindsets will allow employees to broaden their horizons and produce new and innovative ideas. Interns are very inexpensive. They do not require pensions, health care, or severance packages. It’s a good opportunity to take advantage of motivated, ready-to-learn students who are eager to learn more about the industry. Do you have interns? Do you plan on hiring any in the future? How would you help transition interns into the workforce? Let us know in the comments below!